Does scientific research support PH? Since 1986, Montana wildlife rehabilitator Judy Hoy has been on a self-described “crusade” to warn people who feed hummingbirds about the hazards of what she calls “perch hypothermia” (PH), a temporary state of impairment caused by birds feeding on cold feeder solution while perched. Birding magazines, Web sites, and well-meaning bird lovers have helped to promote the idea that feeders with perches are dangerous to hummingbirds—but are they really? In the last three decades, support for PH has been limited to Ms. Hoy’s interpretation of the original events in 1983 and similar reports from others, creative interpretations of scientific research, and unscientific conjectures. 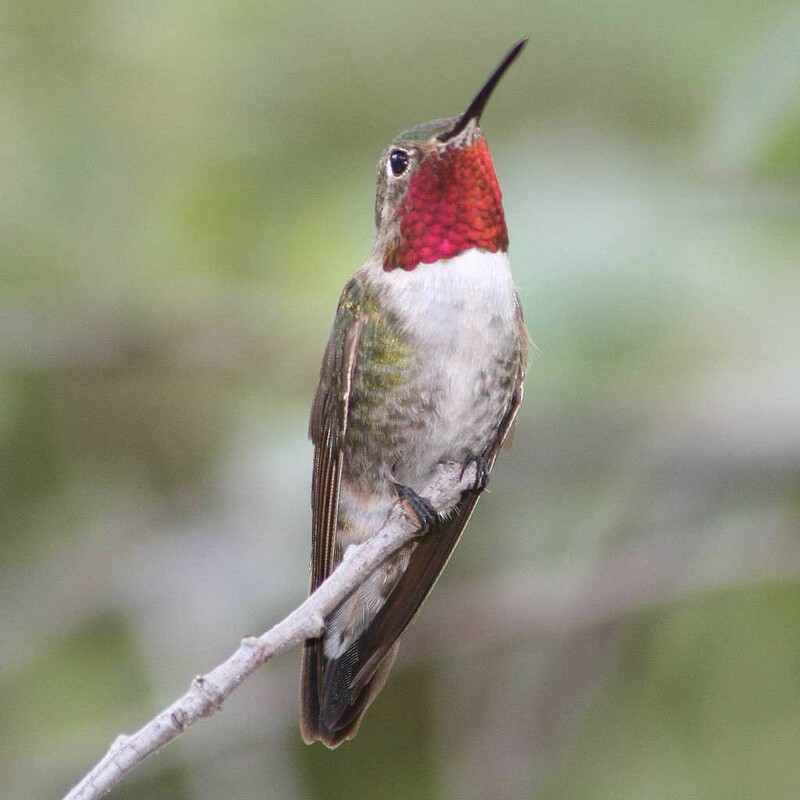 Over the same period, hummingbird researchers and backyard enthusiasts have compiled a mountain of documentation of normal, healthy hummingbirds perch-feeding on ice-cold sugar water with no visible ill effects. 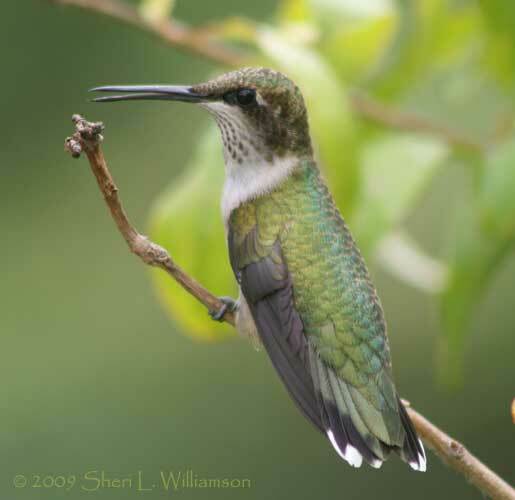 This article summarizes and evaluates the evidence for and against PH as a threat to hummingbirds. 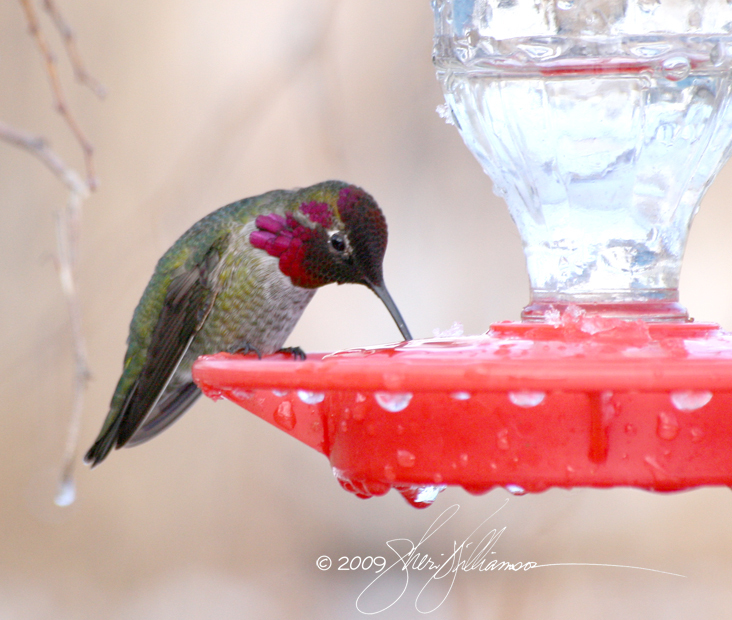 A male Anna’s Hummingbird takes a frosty sip moments after his feeder was cleared of snow. Ms. Hoy first became concerned about the possible hazards of cold feeder solutions in 1983, when her husband, a wildlife biologist, watched a Rufous Hummingbird fluff up, tip upside down, and fall off the perch of a feeder early on a cold spring morning. After a few minutes of warming in hand, the bird flew off and seemed none the worse for wear. They found and revived three more similarly immobilized birds the next day, which inspired them to remove the perches from their hummingbird feeders. Finding no more immobilized birds under the modified feeder, they concluded that taking in substantial volumes of “superchilled” [sic] sugar water while perched causes a dangerous drop in body temperature that impairs the bird’s ability to fly and may cause it to go into torpor. They came to believe that hummingbirds that hover while feeding produce enough additional body heat from muscle action to offset the chilling effect of the cold feeder solution. There’s no doubt that people occasionally report sluggish, semiconscious, or otherwise incapacitated hummingbirds on or near feeders. But is feeding on cold solution while perched the sole or even primary cause of these birds’ problems? If so, is it a common and/or widespread problem for normal, healthy hummingbirds? 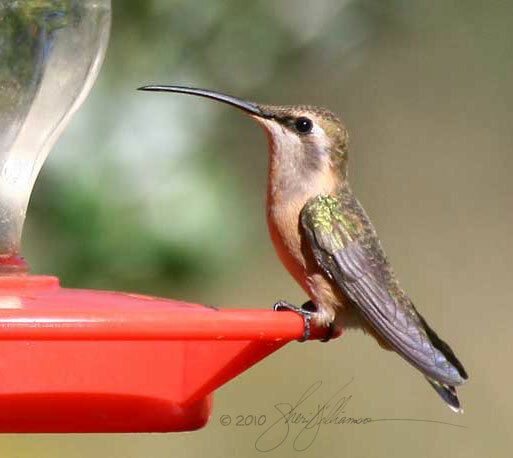 Many reports of hummingbirds, often juveniles, “passing out” and falling off feeders come in late summer and early fall. People who have been exposed to Ms Hoy’s ideas may interpret these incidents as examples of PH, even though the temperatures of both their feeder solutions and the surrounding air may be quite close to the birds’ own body temperature. Migration itself is very physiologically demanding, whether in the warmth of late summer and early fall or in the chill of early spring, and it’s clear that factors other than temperature can induce impaired states that resemble Ms. Hoy’s descriptions of PH. Ms. Hoy claims to have induced PH in a couple of sick/injured hummingbirds destined for euthanasia, but it’s well documented that hummingbirds under stress will enter torpor to save energy. Both wildlife rehabilitators and banders see this from time to time, and Rufous do seem particularly prone to it, perhaps as an adaptation to survival in cold environments. 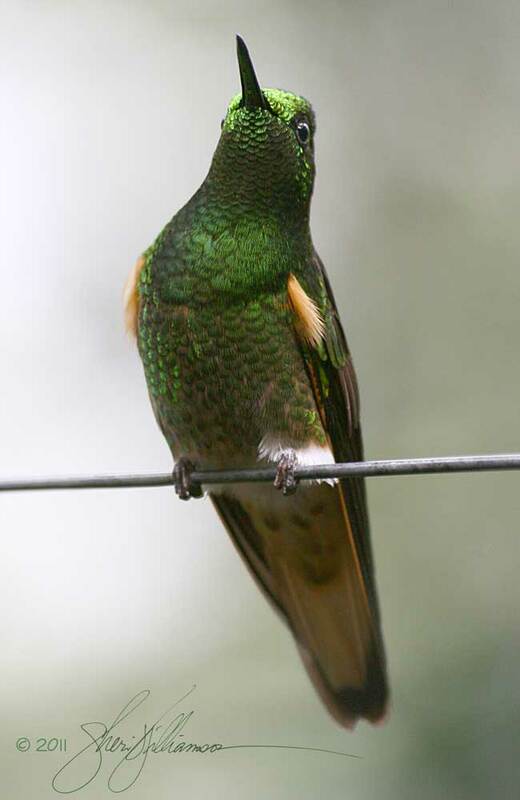 For example, a hummingbird bander reported a wet male Rufous on a cold, rainy day suddenly going into torpor and falling off the feeder after the trap curtain fell, and a songbird bander working in the temperate rainforests of southeastern Alaska reported that the Rufous she finds in her nets are almost always in torpor. 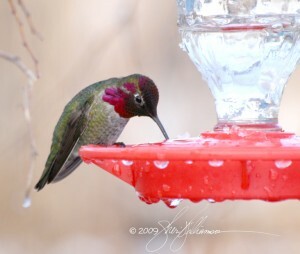 But what about reports of incapacitated hummingbirds sitting on feeders on cold mornings? 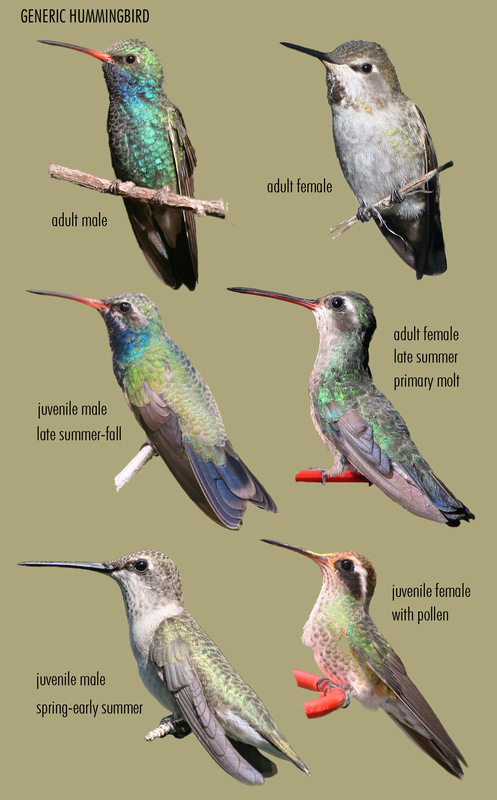 Well, they’re surprisingly rare, even though more hummingbirds than ever are being observed under conditions where PH would be expected to occur. A growing number of hummingbirds are wintering in the eastern U.S., where once they would have been written off as doomed. The most common of these is the Rufous, the species that Ms. Hoy considers most susceptible to PH. There are now hundreds of thousands of observations of Rufous and other less hardy hummingbirds perch-feeding at very cold temperatures, even well below freezing, and showing absolutely no ill effects. 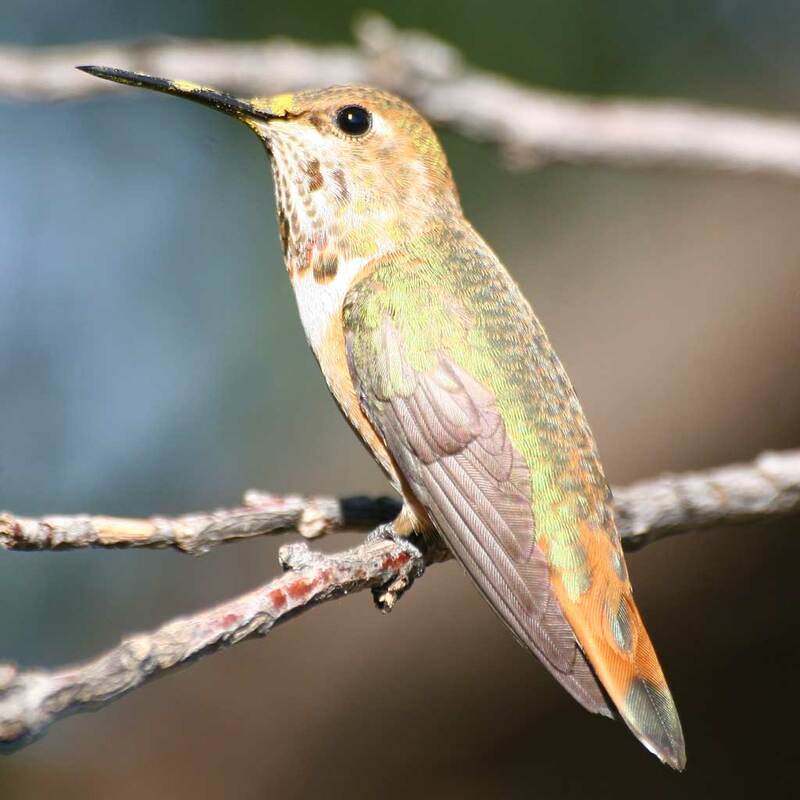 Banding of wintering hummingbirds has shown that not only do these birds survive the winter despite taking their first sips of frigid sugar-water each morning while resting on a feeder perch, but they migrate and return year after year to the same location. This is compelling evidence that if PH exists, it is extremely rare and not a significant threat to the future of any hummingbird species. Chai, P., A. C. Chang and R. Dudley. Journal of Experimental Biology, Vol 201, Issue 7: 963-968. 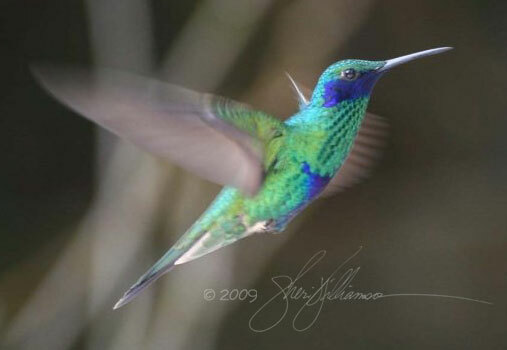 In the introduction, the authors note that hovering hummingbirds are not only burning considerable energy to stay aloft but also creating air currents that create wind chill and disrupt the insulation of their plumage, which would increase the energetic costs of foraging and complicate regulation of their body temperature. They note that “heat produced as a by-product of physical activity can substitute for thermoregulatory requirements,” thereby offsetting the energetic costs of flight at low temperatures. By comparison, hummingbirds that are perch-feeding do not have to deal with wind chill and plumage disturbance from their own “prop wash.” Not surprisingly, the article documents that the hummingbirds under study expended significantly less energy while perch-feeding than while hover-feeding at all temperatures. This makes a strong case for hummingbirds being less “adversely affected” by perch-feeding than by hover-feeding. The most significant finding of this study is that the Ruby-throated Hummingbirds hover-feeding in cold temperatures actually reduce their flight efficiency, burning even more energy to increase the warming effect of muscle action. 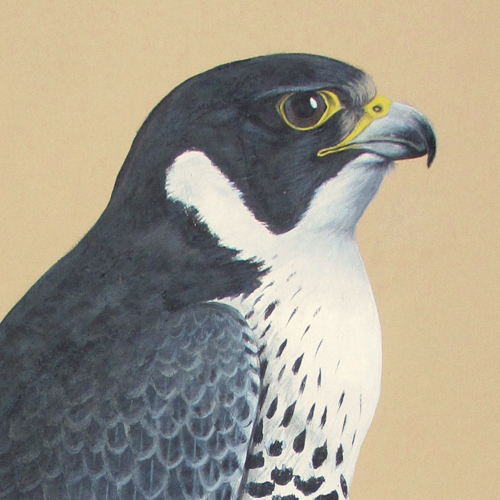 The process is similar to another response to cold that birds share with us mammals: shivering. However, the authors also note that Ruby-throateds prefer to perch while feeding, which again supports the idea that hovering is more stressful than perching. But there are even more fundamental problems with using this study as “proof” of PH. Though the temperature of the feeder solution and the temperature of the air in the test enclosure were likely similar, the article makes no reference to the solution temperature—a key element of the PH hypothesis. And did any of the Ruby-throateds under study exhibit symptoms of hypothermia during the trials? Apparently not, or surely the authors would have mentioned it. Ms. Hoy claims that at least one of the authors has told her that this paper may provide some support for the PH hypothesis, but I’d appreciate hearing confirmation of that directly from the author. 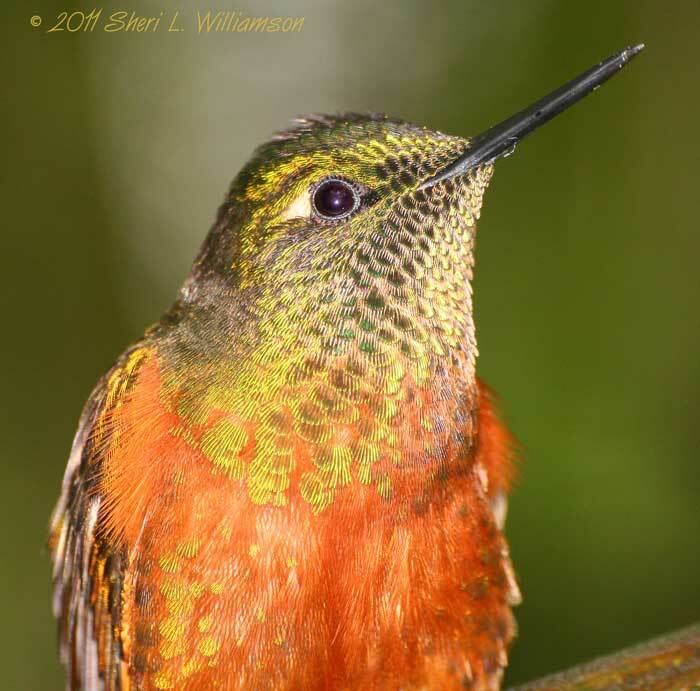 The authors measured the energetic costs of warming cold liquid to body temperature in Rufous Hummingbirds, though they did so at relatively warm ambient temperatures of 20° C. (68° F.) rather than in a cold environment like Chai, Chang, and Dudley. Their coldest solution was 5° C. or 41° F.—just 1 degree higher than an example Ms. Hoy gave in one of her listserv messages. If PH results from the intake of cold food, and flight-produced body heat plays such a minor role in food warming as this study suggests, how effective can hover-feeding be in preventing PH? Like Chai and company, Lotz, Martinez del Rio, and Nicolson didn’t mention signs of hypothermia or sudden onset of torpor in the test subjects after feeding on cold solution. This would have been a very important result, so I’m sure it would have been mentioned had it happened. They did address the relationship between sugar concentration and consumption, noting that “[w]hen nectar sugar concentration is high, intake is low.” Lower volumes of cold food require less energy to warm to body temperature and make more energy available for thermoregulation, fat deposition, etc., supporting the advice I give to increase the feeder solution ratio to 1 part sugar to 3 parts water from fall through spring. Ms. Hoy has also misrepresented the rate of nectar intake by repeatedly referring to birds consuming “several cropfuls” or “many cropfuls” at one sitting. 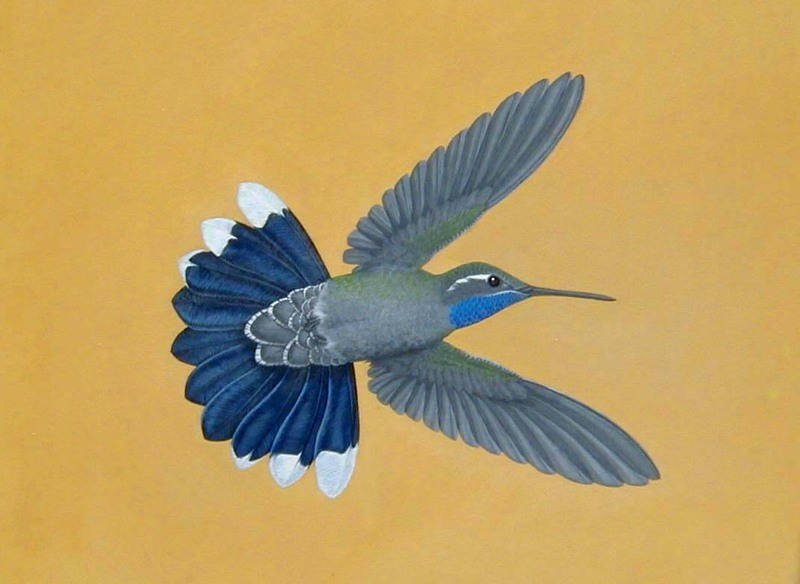 It takes about 4 minutes for half of a hummingbird’s the crop contents to pass into the gut and 15 to 20 minutes for the crop to empty completely (Karasov, W. H., D. Phan, J. M. Diamond & F. L. Carpenter. 1986. 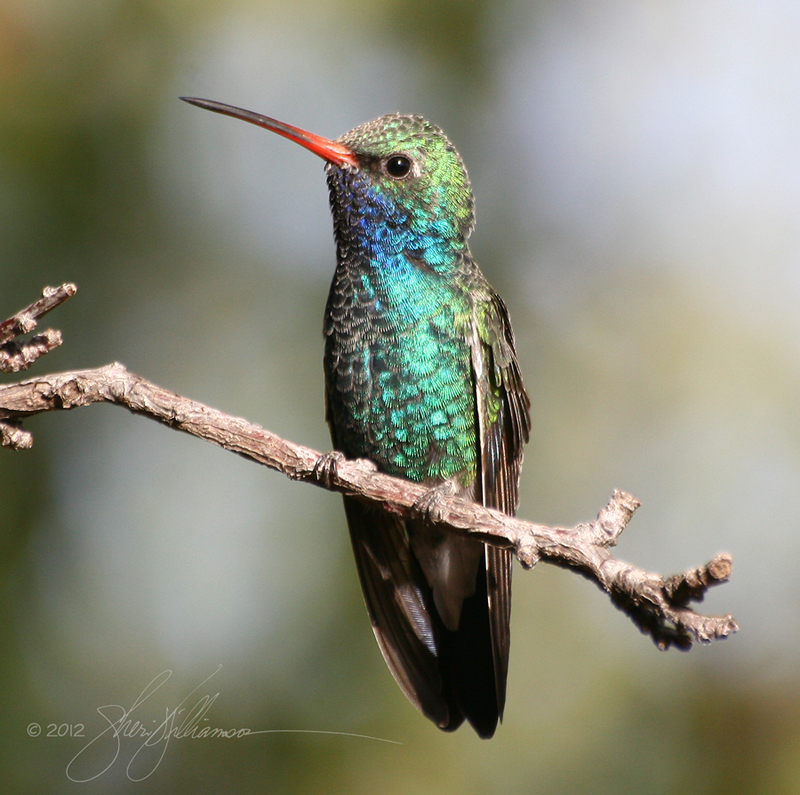 Food passage and intestinal nutrient absorption in hummingbirds. Auk 103:453-464.). Based on these numbers, to take in the equivalent of just three cropfuls of sugar water at one sitting a bird would have to remain on the feeder, “topping off” its crop periodically, for at least 16 minutes—an awfully long time in the daily life of a hummingbird. They may engage in multiple bouts of drinking during their typically short visits to feeders, but they are not emptying their crops completely between sips at a single sitting. And doesn’t it seem logical that the ingestion of smaller quantities over a longer period of time is one way that hummingbirds can reduce the shock to their systems of drinking very cold nectar, either while perched or in flight—equivalent to taking small bites of ice cream to avoid a headache? A minor point in this controversy that nevertheless points to Ms. Hoy’s misunderstanding of the issues is her confusion about torpor, which is a relatively brief state of “voluntary” hypothermia and reduced metabolic rate used as an energy-saving strategy by some warm-blooded (endothermic) animals. She claims to have observed newly hatched hummingbird nestlings in torpor, but the scientific literature says that this doesn’t happen. Why? Because hummingbird nestlings are cold-blooded (exothermic) for the first 10 to 12 days of life. By definition they cannot enter torpor until their metabolic “furnaces” turn on, which coincides with the appearance of their first insulating coat of feathers. 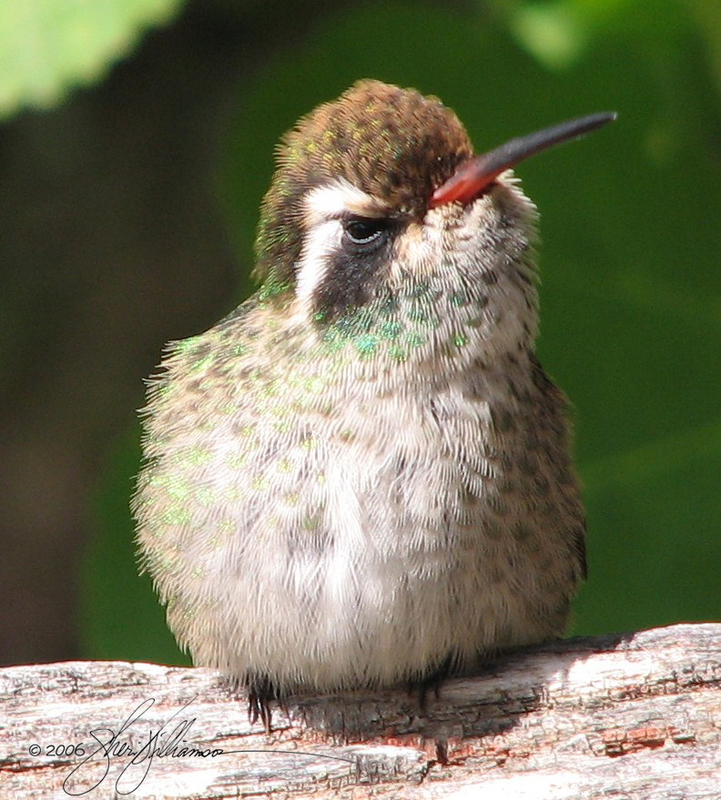 When chilled, unfeathered nestling hummingbirds do become immobile (“torpid” in the informal sense), just as a lizard or frog would under similar circumstances, but this is not the same as the true energy-saving torpor seen in adult hummingbirds. Other problems with the PH hypothesis include the stretches of logic used to account for taxonomic and geographic disparities in reports of PH. 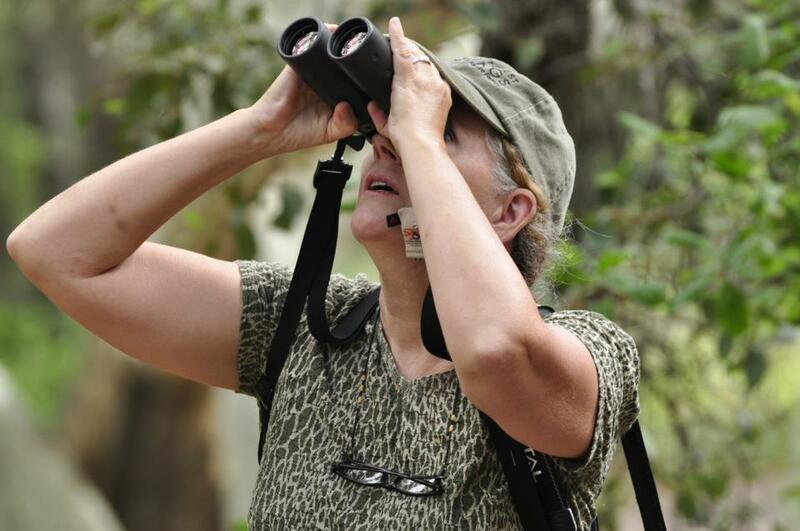 To explain perceived differences between Rufous and other species, Ms. Hoy has suggested differences in feeding times, “thermodynamics,” and frequency of torpor. Where’s the evidence for any of these? There’s a distinct implication that Rufous are somehow more cold sensitive than other species, which is nonsense. 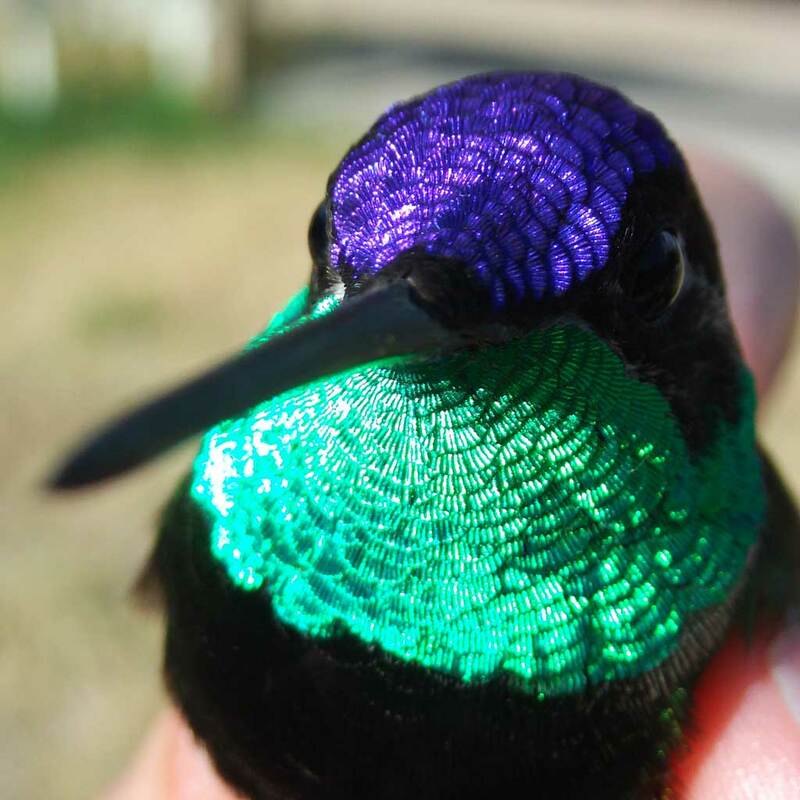 They’re among the most cold tolerant of all hummingbirds. How else can we account for their early migration schedule, occupation of high latitudes and altitudes, and stunningly successful winter range expansion into the southeastern U.S.? Similarly, “cats, crows and magpies” are the scapegoats used to explain why many people who spend a lot of time watching hummingbirds feeding in cold conditions have not observed PH. Again, where’s the evidence? 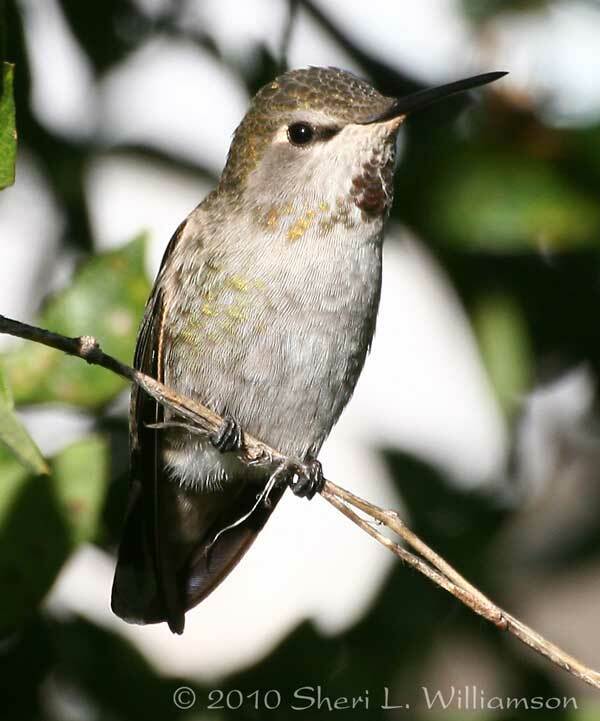 Ms. Hoy presumes that hummingbirds she has received for rehab were hypothermic when they ran afoul of dogs or cats, but are there any first-hand observations that support this? 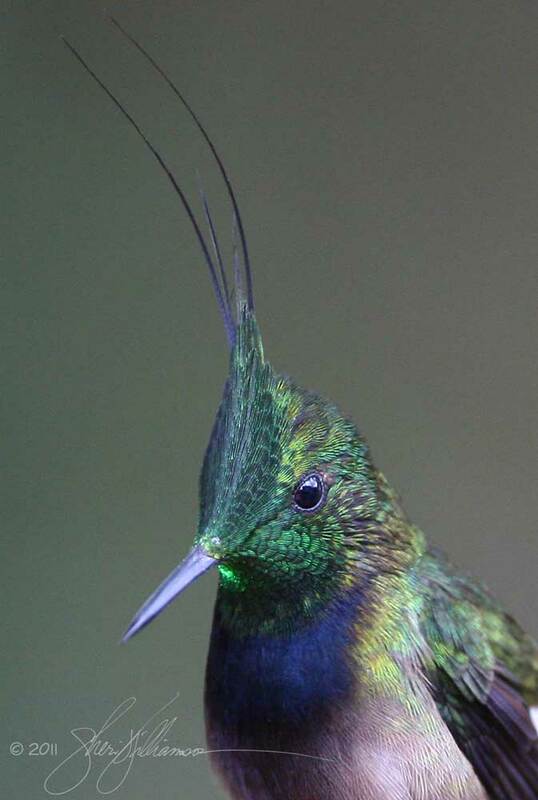 Given the role of movement in triggering predatory behavior and the effectiveness of “playing possum” as an anti-predator strategy in small animals, doesn’t it seem likely that most torpid hummingbirds would be overlooked by predators? I have not gotten anyone to do anything to save the hummingbirds from unnecessary death or save eggs and young from dying while the mother bird is too hypothermic to get back to the nest. What we need is more people complaining about the problem. Sorry, but I strongly disagree. If we really want to help hummingbirds, what we really need is more people complaining about real threats, namely habitat destruction, pesticides, free-roaming cats, collision hazards such as transmission towers and windows, and global warming, and insisting on protection for hummingbirds and their habitats. Written for my Web site in 2007.